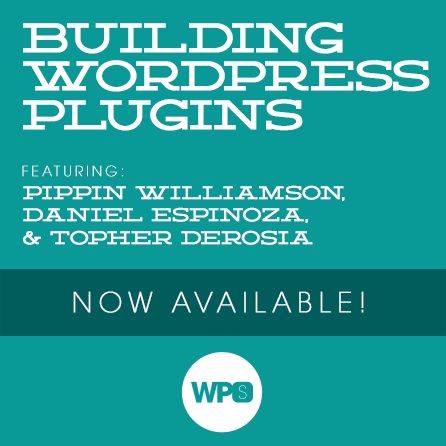 Join Pippin Williamson, Daniel Espinoza, & Topher DeRosia for an exciting and informative look into building WordPress Plugins. Join us for the inaugural session LIVE on Saturday, June 22, 2013, beginning at approximately 1pm EST. The video recording will become available immediately thereafter. For this session, each presenter will be bringing a greater level of understanding to the plugin development process, ranging from beginner/introductory topics all the way up to advanced development techniques. Whether you’re just getting into WordPress development, of you’ve been developing years, you stand to learn something from this dynamic speaker lineup. When you join us for the inaugural WPSession, you’ll get a first-hand look at how to build your very own WordPress plugins. Your plugin might serve to scratch a personal itch, serve a client need, or even solve a greater community problem. It has never been easier to break into WordPress development, and our experts are excited to help you take that next step. In 15 months Daniel went from zero plugins and no product income to 20 plugins and over $7K per month in sales. Whether you have premium plugins in development or are just thinking about building them, Daniel will share valuable lessons on how to design, build, support and sell your plugins.